Most equipment manufacturers stopped building tools for horse and oxen farming around the middle of the 1900s. Farmers who wish to continue farming with draft animals innovate and invent tools appropriate for their purposes. It’s the classic narrative that defines the farm hack community: we want tools suited to ecological, human-scale agriculture, not industrial agribusiness. Local manufacture and on-farm research and development allow farmers to equip themselves with tools for their specific working environment and set of circumstances. 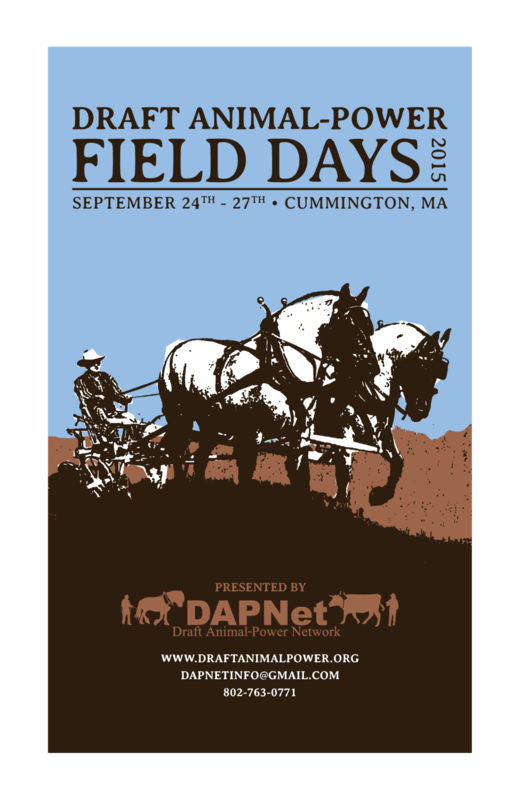 This design philosophy was brought to bear at the Draft Animal Power Field Days where tools cross-pollinated during guided brainstorming sessions. The new front end for the culticycle is hacked from a lawn tractor front end. The quick hitch system which Tim and Dorn are currently adapting for use on the Culticycle is an idea borrowed from the Pioneer Homsteader, a draft-powered multi-tool. 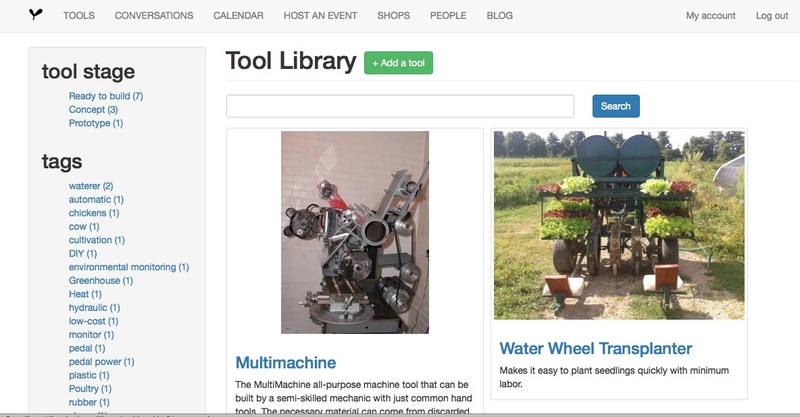 Old standby tool features can also be improved upon using a new component to perform a familiar function – for example, in recent Culticycle development conversations, the Farm Hack community is looking to hand–powered hydraulics and auto trunk struts as alternatives for more ergonomic lifting of heavy, belly-mounted tools. In the interest of minimizing our reliance on fossil fuels and developing more flexible and efficient farming systems, identifying what the actual appropriate power need for a job is allows us to develop and use the right power source – i.e. a human, a bicycle, a horse. 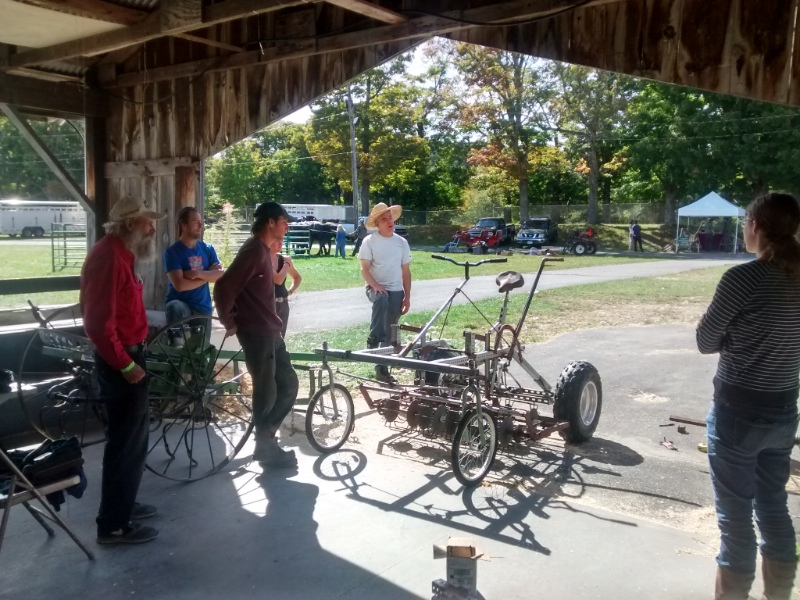 Culticycle inventor, Tim Cooke, often makes the point that we just don’t know how much horsepower cultivating takes because we default to using the smallest tractor on the farm, which still might be vastly overpowered for the task. This insight connects to a broader principle galvanizing Farm Hackers; that innovation often stems from looking critically at the way things are and the way they are always done, and synthesizing from a rich repetoire of knowledge new and old to figure out how to do things better. More documentation updates to come soon on the Culticycle tool page.